You’ve seen them (and felt your anxiety level rising). The homeowner who takes four “guest only” parking spots for his cars. The board president who goes on a vendetta by holding secret meetings, making unapproved purchases and breaking confidentiality rules. Or, as one Colorado CMCA shared at a recent meeting, the individual who felt insulted at a board meeting, threw a chair and then put up posters throughout the association attacking the manager’s character. Bullies might be only 1 percent of the population, Leichting says, but they take 999 percent of your time, energy and emotional reserves. So you want to fight? 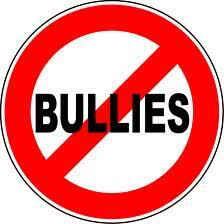 Your attorney can point you to legal tactics to fight the specific actions of a board bully. If the problem is lack of confidentiality, the board may want to create a confidentiality agreement that spells out the director’s fiduciary duties in writing. For other “irregularities,” your attorney may also want to take the board member aside. A simple “talking to” can sometimes derail particular behaviors, if not change personalities. But what if the problem isn’t a board member, but a homeowner? And what if the only tactics available are expensive (i.e. lawsuit) or scary (verbal confrontation)? 1) Take care of yourself physically and mentally. Surprised? “Bullies want to wear you down, so that you’ll give up and give them what they want,” Leichtling says. “Your job is to keep yourself at your best.” So do whatever it takes to keep your humor, courage and strength. 3) Watch for early warning signs. Bullying is more likely when there’s someone new on the board, or when someone is going through a rough personal patch: a divorce or job loss. Keep your intuition up for these signs. 4) Begin with relationship: Don’t assume you’re dealing with a rational person. Assume you’re dealing with someone who is on the emotional razor’s edge. So get together with the bully, speak emotionally and calm them down enough so they can be rational. 5) Get on their side: Figure out what you can given the constraints of the situation, without backing down. You may even want to get on their side of the desk or table. 6) Meet in person: When people are upset, email is not a good strategy. Even if this costs you time and money now, a personal meeting is much less costly in the long run. No, this won’t work with every bully, and every situation. Rather, it’s an escalating scale of actions to take before legal or board action. It gives you the assurance of having done everything possible to work it out, short of giving in.